Discussion in 'UFOs, Aliens, Monsters, and the Paranormal' started by John X, Dec 7, 2014. I found this video, is in Portuguese but is not important what he is saying, what is interesting is what the video shows. 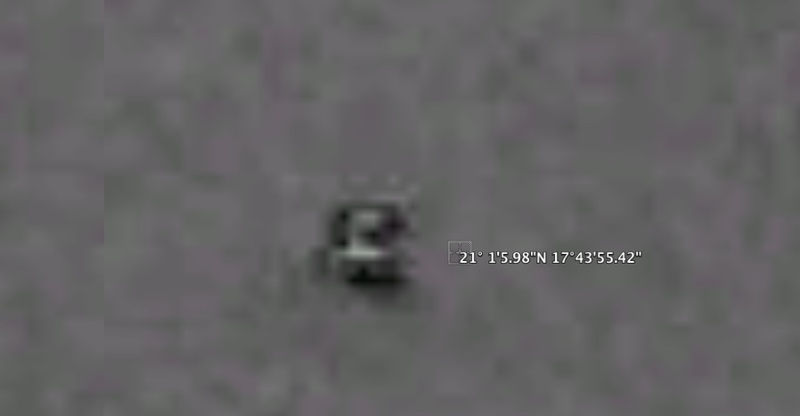 The video show what appears to be several non natural formations in the moon surface and areas covered with black, using google moon(google earth). I've checked on google moon myself and i found them myself. No Mike, that has nothing to be with it, pls take a look, looks legit... Ive checked on google earth my self. Please watch it, since there is several structures to debunk. Can you pick the best one, and give me the coordinates. Sure, will be ready soon. 21° 1'5.98"N 17°43'55.42" This is the most impressive. I work with photography, i know know it could have been faked, but then should be someone working at google. Notice not only the structure but the blacked patch on the right. 21° 1'5.98"N 17°43'55.42" More black patches, notice also in the grayed area how there would seem several lines that look like 90 degree angles . 22.257899°	8.314009° This one looks like some sort of building. There is many more, let me know if you want to see it. For now this should be enough. This one looks also really interesting, probably the most interesting. It looks like a number 5 in whats look like a base. It's just a badly compressed speck of dirt, like the others here. It's the compression that makes it square. I wish to add that also....as a long-time proponent and "viewer" of many, many images from the Moon? This is simply another instance of a misconception. I think "Mick West" explained it already. I'd be happy to to discuss further. Perhaps in PMs? (I HAVE a certain great knowledge about the Apollo Program, due to a LOT of research on my part....). I apologize for non being satisfied with the answer. The post you send me looks nothing like the one i sent you. I dont see any 90 degree angle on the link you sent me. Also could you explain the black patches and the first location i specified 21° 1'5.98"N 17°43'55.42"
I do understand what you say about the speck of dirt. Im a photographer. And does apply to the example that you show me but not the what ive shown you. Perhaps if you could show an similar example of a formation like that on google earth would be useful. You have to zoom in. This is the "moon man"
Notice the lines at right angles. 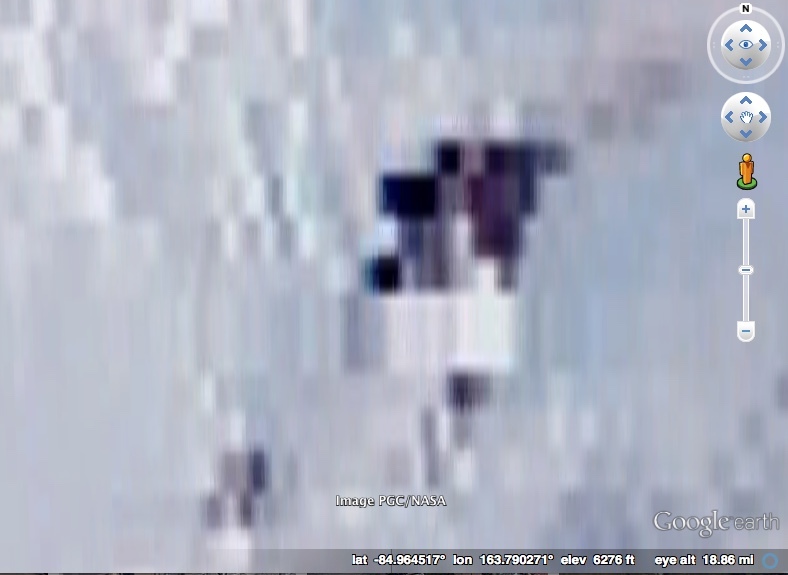 For similar rectangular things in google earth, just zoom in anywhere with poor coverage, like Northern Canada. John, if you want to look at moon images, Google Moon is frankly terrible. It uses horribly low-contrast, dirty scans of the old photos. If you use the LROC QuickMap site, you can see much cleaner, better scans of old photos, and then if you zoom in you will see ultra close-up views down to 50cm per pixel in many places. Here is the same view in both Google Moon and QuickMap. See the difference? And here is the same area in close-up. The crater which is a barely visible bowl in the Google Moon image even with contrast enhanced is revealed in fantastic detail, with sunlit boulders casting long shadows. The "anomaly" just to its west is nowhere to be seen, because it was just dirt on the scan. Here is a link to the area in question in QuickMap. Mick, please take a look again, i took photoshop to make it clear. See here for those black things. Notice how all those "right-angles" are parallel to the edges of the image strips? 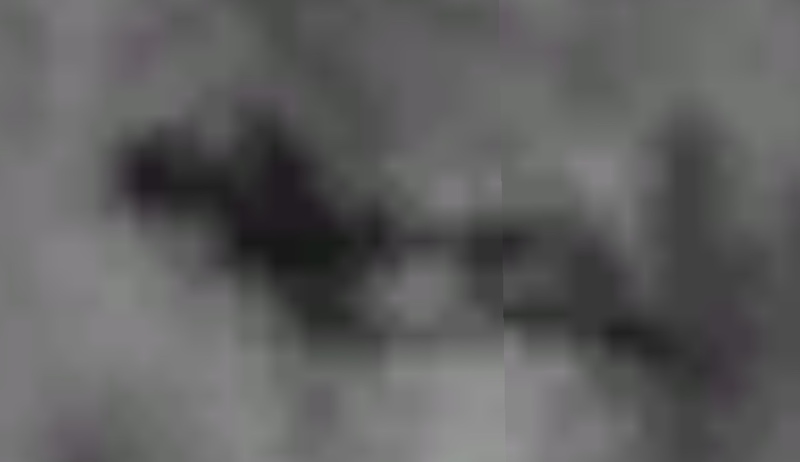 As a rule of thumb, if you see 90-degree angles on satellite imagery where you wouldn't expect it, look at the pixels. If they're aligned with the pixel grid, there is your answer. You could use the same logic for saying that that they went too far with high definition strip and they covered the structures with black. Also why would most of the moon be blurred int the first place? And what are the black patches covering? Why the all show 90 degree edges? That's not really logic, that's just extreme speculation. Because they used low res photos, as explained before. Nothing. There's nothing there. It's an area where there are no data for pixels in that strip. I dont get it could you try to give an detailed example? Also can some one show me anything similar to this image in google earth, i mean if you see this on earth you would asume is man made. Thanks Mike, i dont know if you notice that in some pictures you can clearly see that there is something under. Why would you put a black patch if it is not to cover something? Can we agree that they are black patches? You can see underlines in some parts. Also if you could provide similar glitches in google earth? John, please don't add images as attachments, insert them into the posts. You can edit the above to do this. See the "No click" policy. Google Earth does a much better job of stitching things together, as it has got thousands of times more high quality images. As noted above, if you look at better quality Moon images, then these glitches vanish. One more picture, how come the supposed glitch, (btw this is not near the low ress line), how come is perfectly aligned with true north. Now let me ask you and answer me honestly, if you see that picture on google earth would you say that looks artificial or natural? Honest answer pls. The lines shows that i about 200 meters long and 250 meters wide, quiet accurate. Again here you have the coordinates. Regardless, thanks for taking the time and keep up the good work. It's a boulder. The "lumpy bit" is a crater, with the light coming from the left. It's a boulder on the shadowed downslope of the crater, with the top lit by the sun, and casting a very long shadow down the slope. Looking at the shadows you can see that the sun angle is close to the angle of the crater slope. The fact it is perfectly aligned with true north, and therefore with the pixel grid, shows that it is just a compression artifact. Compare with this image. Notice the regular grid, even in the background? It is especially noticeable over at the left-hand side. Because all the pixels are aligned with true north. Image compression splits an image into 8x8 blocks, which will, in GE, be aligned with true north, so you will see these types of thing. Sorry i dont get it. I dont see logic on this. Those two images looks nothing similar. I dont want to go further today, if you are convinced good for you. However i will try to make sense of what you are telling me. 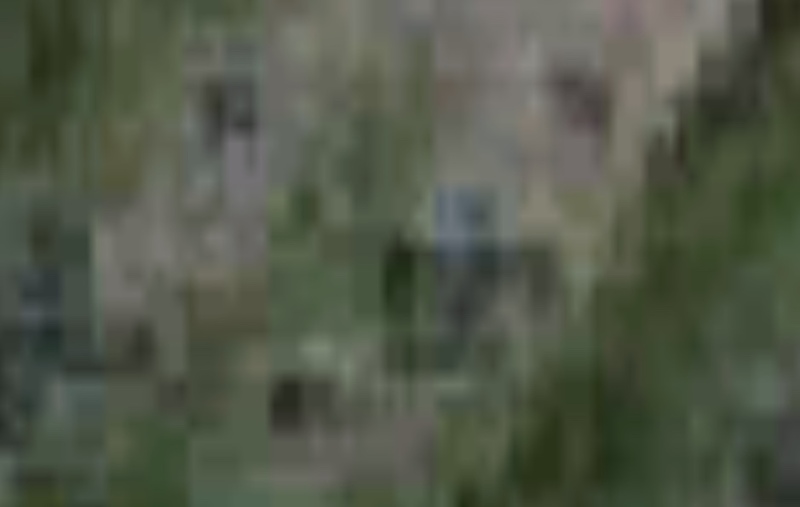 The image demonstrates the north-south alignment of pixels. The moon image is more highly compressed, and filtered differently. You probably will not find anything like it on the Earth images. It's a speck of dirt on a compressed image, that's all. I don't see anything all that is inconsistent with that. I had a post removed. I'm not sure why you are quoting the high-resolution image there. They won't look alike. My point was simply to show that if there was anything there, you would be able to see it in enormous detail. That is the exact same location as the first of the "anomalies" you posted, and yet even at 50cm resolution there is nothing there except craters and rocks.